Japan just teamed up with Germany against Trump. 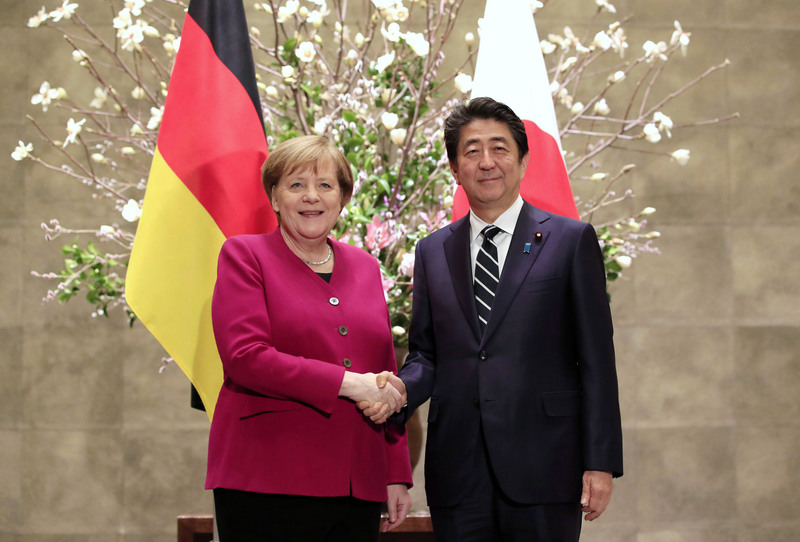 Prime Minister Abe hosted Chancellor Merkel earlier this week and committed to enhancing what he described as the “alliance of multilateralists” that exists between their countries and especially them personally. These two Great Powers are against Trump’s “America First” ideology of prioritizing his country’s interests in all foreign policy and economic decisions instead of proverbially “taking one for the team” and sacrificing the US’ interests for the so-called “greater good” of its supposed “allies” and the rest of the world. Abe and Merkel, however, are Liberal-Globalists who are ideologically opposed to Trump’s Hyper-Realist view of International Relations, which explains why they’re joining forces to thwart his global ambitions. Furthermore, the German-led initiative to create a so-called “European Army” and Japan’s simmering disputes with South Korea speak to the fact that the US is somewhat losing control over its junior partners, or rather, no longer has the same amount of total control over them as it used to have and therefore has to flexibly adapt to these changing conditions via the “Lead From Behind” stratagem of outsourcing regional leadership responsibilities to likeminded partners. Even under those conditions, however, both Great Powers can try to use their deepening partnerships with one another and the shared potential between them as leverage in their individual relations with the US. Markel is finished. No future at all. Utterly irrelevant what she thinks now after trying to destroy Germany. But they woke up and are putting her out. Thanks be to God and the AFD!